Chelsea have wrapped up the signing of Antonio Rudiger from Roma, but are yet to officially announce his arrival. 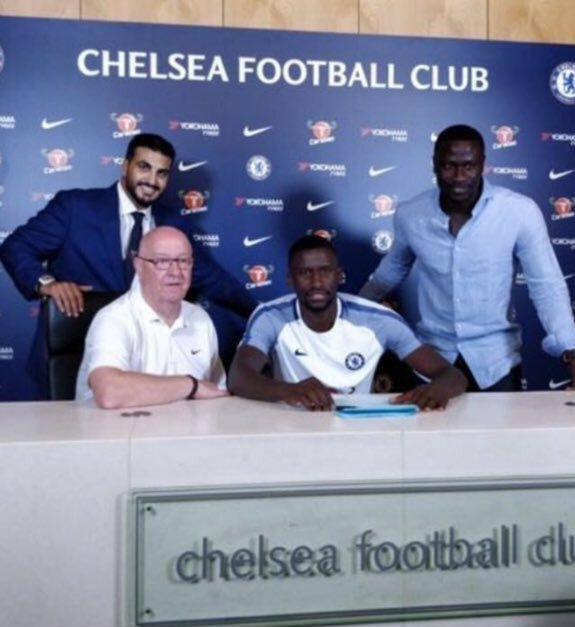 The Blues have moved quickly to agree a deal with Roma and have put Rudiger through his medical paces. Chelsea boss Antonio Conte has been keen to reinforce his defensive options and will be delighted with the capture of Rudiger. A photograph of the defender putting pen to paper on his contract with the Premier League champions has emerged and now just the announcement is missing. The 24-year-old made a total of 26 appearances in Serie A for Roma last season, picking up seven yellow cards and one red card in the process. Rudiger's arrival will give Chelsea a boost after the Blues missed out on their primary attacking target in Romelu Lukaku. The striker is set to join Manchester United from Everton for £75m, despite Chelsea having matched the Red Devils' offer.